The Jesters’ Court is the Official New Orleans Jesters Television Show. 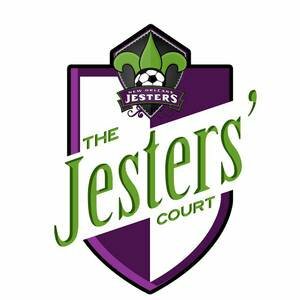 The Jesters’ Court keeps fans up to date during the Jesters NPSL Season with recent Game Highlights, Player highlights, Summer camps and much more! The show will broadcast virtually on all Jesters Social Media Accounts: YouTube, Facebook, Instagram, Twitter. Season 3 is UNDERWAY! You may also follow the Jesters YouTube page!! A look ahead to the first round of the US Open Cup and a look back at the preseason match against AFC Mobile. 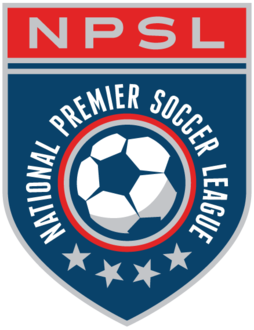 This Week in the NPSL is a weekly production that highlights games, players, and events from around the NPSL during the past week. Two games into the season and ahead of the Jesters' big match against Chattanooga, Coach Kenny Farrell take a few minutes to reflect on the season so far and offer his thoughts on the upcoming match against the NPSL Championship runner-up. After a tough loss to NPSL Runner-up Chattanooga FC, Coach Farrell breaks down some of his game strategy, shares his opinions on a controversial moment of the match, and looks forward to games against Knoxville Force and Nashville FC. A two-game road trip to Tennessee saw the Jesters get 3 points from those contests. Coach Farrell takes a minute to talk about where the team is heading, current injuries affecting the team, and a big weekend against Chattanooga FC. At the halfway point of the season, Coach Farrell takes a second to talk about where the team is now, and the direction he wants the Jesters to be moving. Coming off a win against the Houston Hurricanes in a friendly match, Coach Farrell talks about what he liked and didn't like from the game, as well as talks about the stretch run of the NPSL. Every single game matters for every team in the final weeks of the season, and Coach Farrell gives his thoughts on what's needed to make the playoffs. The Jesters season hangs in the balance in the last three games of the season. Coach Farrell takes a few minutes to talk about what's needed to make the playoffs and shares his optimism about the team's chances.